Here’s a close up of the patties. I couldn’t decide if I wanted to use the glitter or not, so I did one with and one without. What’s not to love about St. Patrick’s Day? I’m not Irish or Catholic, but I still enjoy the wearing o’ the green. And the eating o’ the green. And the drinking o’ the green for that matter! 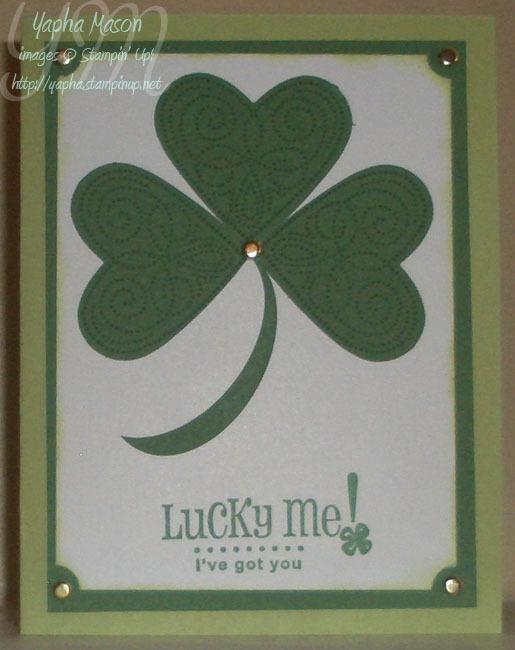 The card below was inspired by a similar card by Connie Babbert. 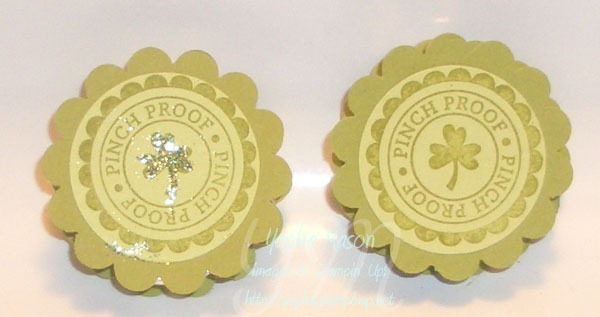 I used the Sale-a-Bration set Polka Dot Punches (still available through the end of March!) 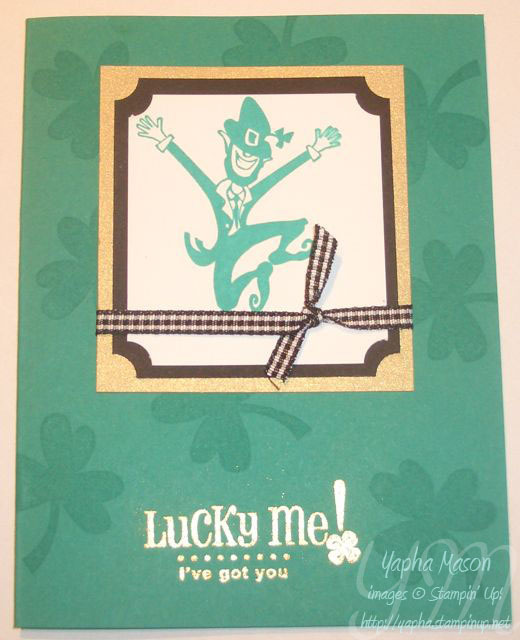 and the Full Heart Punch to make the shamrock. I made the stem by punching a sliver with the Wide Oval Punch. Whoo-hoo, it’s March! 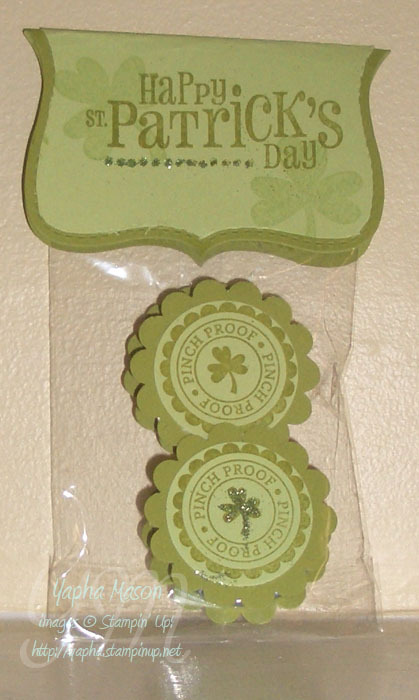 March has a couple of great, though often overlooked, holidays — Purim and St. Patrick’s Day. We’ll get to Purim cards in a couple of days. For now I want to show you a card I made for a swap last year. It was a HUGE swap, and I had to make close to 100 of these cards. Thank goodness that Steve helped with all of the gold embossing! He definitely knows his way around the heat gun. I love this set, though I only use it once a year. It has a matching wheel, which is great for scrapbook pages. I certainly have plenty of pictures of Eve wearing green and eating green bagels on St. Patrick’s Day!